The Quietest Place On Earth ~And No One Can Stand It | Do You Know? 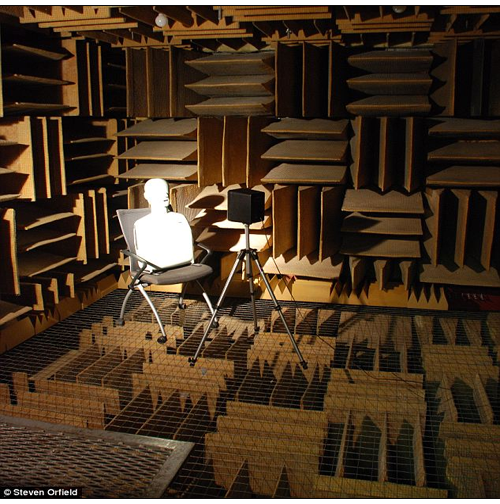 The “anechoic chamber” at Orfield Laboratories is the quietest place on earth and it is unbearable due deafening silence. Most of us would embrace a moment of free time to “enjoy the quiet”. However, the phrase “silence is golden” does not ring true for the Guinness World Record location of the quietest place on Earth which still holds to this day. Ultra-sensitive tests performed on January 21, 2004 determined the background noise reading to be -9.4 dBA (decibel A-weighted). Currently, the record length of stay in the world’s quietest place which is a chamber located at Orfield Laboratories in South Minneapolis is 45 minutes. The silence is achieved with the use of 3.3 feet of fiberglass acoustic wedges, double insulated steel and concrete that is a foot thick. Due to the quietness of the room, your ears adapt accordingly and you eventually “become” the sound. The quieter the room is, the more acute you ears become. You are able to hear various things such as your heart beating, lungs moving air and stomach gurgling. Eventually, it becomes a disorienting experience which produces hallucinations due to the room being 99.9 percent sound absorbent. Since you orient yourself through sound when walking, it also becomes difficult to maneuver. 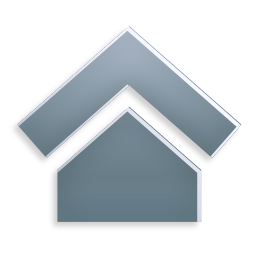 The perceptual clues you rely on for balance and maneuverability are eliminated, therefore you must remain sitting. In essence, you must become a chair. Currently, the lab is being used for sound research for various companies such as Whirlpool and Harley Davidson to determine sound quality. The research is used to analyze the sound of different objects such as heart valves, cell phones and car dashboard switches. During testing, the products are recorded and people listen to them based upon semantic terms such as “expensive” and “low quality”. Their feelings and associations are then measured by the laboratory. NASA currently uses a similar type of chamber of astronaut testing. The astronauts are placed into a tank filled with water and monitored on how long it takes them to have hallucinations and whether they can continue to work through them. 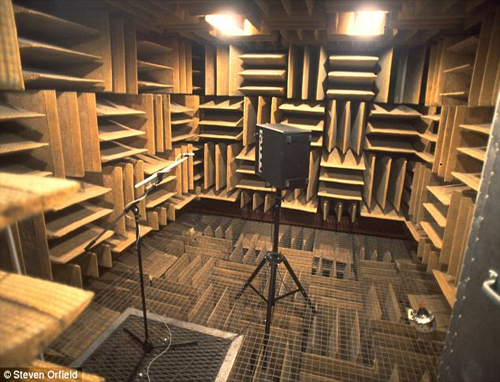 The company’s founder; Steven Orfield states that “space is one giant anechoic chamber”. Therefore, it is important that the astronauts remain focused". The lab challenges people to enter the chamber and sit in the dark. A reporter set the record for 45 minutes. Additionally, Mr. Orfield can last 30 minutes in the room silent room he created, which is commendable given the fact that he has a mechanical heart valve which becomes very loud once he is inside.